Superb and very rare STARLORD page from Issue 21 ( the penultimate issue! ) page 18, cover date 30th September 1978. The story is 'The Brain' and features Strontium Dog by Carlos Ezquerra and writer John Wagner. One issue later it would transfer to 2000ad, and the rest is history. 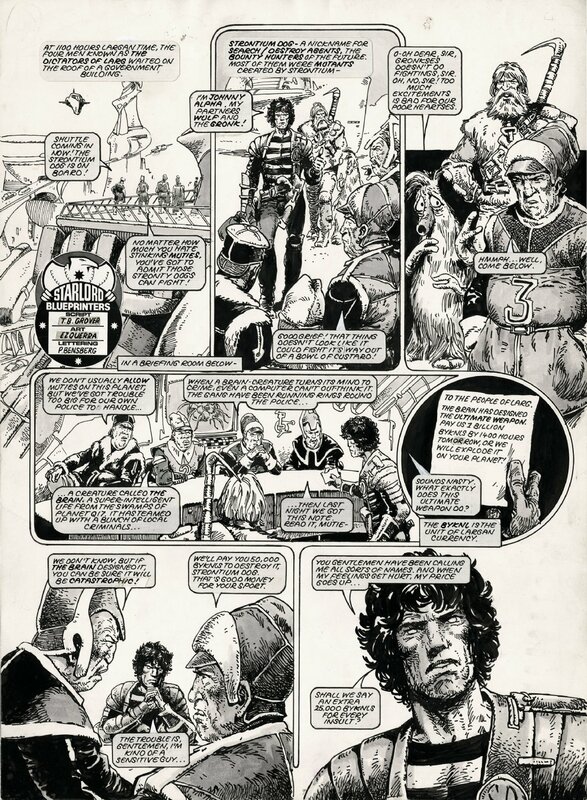 The early Starlord pages are drawn by Carlos using a greyscale colouring, as Starlord had a higher budget than 2000ad. A very opportunity for some rare early Stronty! Features Johnny Alpha, Wulf Sternhammer and the Gronk! !